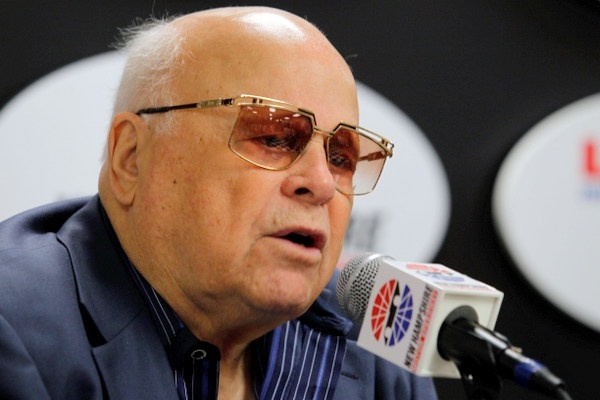 Bruton Smith showed up here Friday afternoon, looking tanned and chipper and downright feisty. Back in form, after a surprising summer of flying under the media radar. Smith has never shied away from the limelight: in fact he downright loves it, particularly the spirited battling with the media. And Smith hates to lose any war of wits. Now, what to make of the potential impact on this sport of Smith's 'Yes, yes, yes,' when asked several times if it were true that NBC would be taking over the second half of the NASCAR Sprint Cup season from ESPN/ABC a year early, in 2014, rather than 2015? "Yes. Yes, yes, yes. Yes." That, if it indeed happens, could alter the 2014 fall championship chase of course, since NBC, when it does take over, says it will meld its NASCAR races and its National Football League games in a neat, synergetic sports package. However Smith insists he doesn't really care about counterprogramming against the NFL. He says NASCAR can take it on heads up. "We don't worry about the NFL," Smith insists. 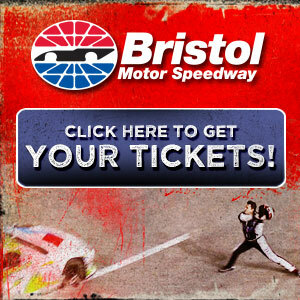 "On television, the Bristol race (August 24th) was on ABC, and the NFL was on CBS, and we outdrew them. Isn't that great?" Exactly what might be going on behind closed doors in Daytona, Charlotte and New York City isn't clear. But to hear the loud buzz over the past two weeks, it certainly looks like something is going on. Latest word, unofficially, on NASCAR 2014 is that the schedule won't be officially released until early October. That's far later than usual. Earlier this year NASCAR 2014 appeared on line to be a virtual repeat of NASCAR 2013, and NASCAR 2012, and so on. But then after Brian France's July surprise, signing NBC to a huge contract from 2015 through 2024, and leaving ESPN/ABC on the sidelines again, something appeared to be changing. When the possibility of NBC taking over in 2014 was first heard a month ago, NASCAR downplayed such talk as routine and appeared to dismiss the move as not likely to happen. However over the last 14 days in particular there has been a flurry of 'what if' speculation about possible significant changes to the Sprint Cup tour being considered. Not just some scheduling changes but weekend format changes too, perhaps even including new, more exciting qualifying days. Of course NBC, which is to pay about $420 million a year to NASCAR for the rights to cover this sport, has to make a reasonable solid financial game plan -- read commercials. How much money can NBC make on NASCAR weekends, how much can NBC charge for commercials, what might TV sponsors and potential sponsors be willing to pay NBC? All questions presumably under heavy internal debate. Where does Smith himself fit into all this? Well, his stock car racing empire stands to earn a significant part of that TV money. Smith repeated his call for NASCAR to move the championship finale from Homestead-Miami to Las Vegas. "That would be the natural thing to do to enhance this sport," Smith said. "Las Vegas is the entertainment capital of the world. And Smith called any possible plans by NASCAR to switch the finale next fall from Homestead to Phoenix "bull-xxxx! That's what I think about that -- it's bull-xxxx!" However it does appear that the France family is pushing some major renovations at its Phoenix track, seemingly prepping it for the 2014 championship finale. That wouldn't set well with Smith at all. "Las Vegas has 150,000 hotel rooms," Smith said, emphasizing one of his long selling points. "Phoenix doesn't have anything like that." Smith's Las Vegas track hosts only one Sprint Cup race, each spring (next year March 9th), but he helps host the NASCAR post-season awards banquet, marketed as 'After the lap,' each December, its fifth year this fall, in Las Vegas. "Why don't we do this -- think positively about the sport, and let's do something for the sport," Smith said. "NASCAR needs to do that....and that's Las Vegas. It's for the good of the sport. It's a natural." Part of the Homestead/Phoenix/Las Vegas championship equation appears related to the sponsorship of that final weekend of the season, for all three NASCAR national touring series, Cup, Nationwide and Truck. Ford has been sponsoring that weekend since 2002 as the Ford Championship Weekend. Ford's contract runs through 2014, and Ford officials confirm it is currently under renegotiation. Details of those negotiations, and any counter-negotiations with other potential sponsors, are not clear. But maybe Ford might balk at 'hosting' another Jimmie Johnson championship weekend. Ford won the first chase, but Chevy won the next seven, and came within a few laps of winning an eighth last November. There are indications that NASCAR execs would like to sign a 10-year sponsorship deal for that weekend, and it is uncertain if Ford would pay whatever price NASCAR might be setting. If not, then might NASCAR 'pull an NBC,' and sign up someone else willing to pay the price? Ford, under Alan Mulally, is known for its reluctance to overspend for anything; however Toyota and General Motors appear to be much more generous in their programs. It appears possible that whoever the sponsor might be could have a significant role in determining what track hosts that race. A Las Vegas finale would logically lead into the awards banquet in that city rather neatly, rather than running that race in south Florida and then two weeks later hiking out to Nevada for the TV-trophy deal. However Smith owns the Las Vegas track and the France family, through its International Speedway Corp., owns both Homestead-Miami and Phoenix. And Smith and the Frances have been at odds over the years over various issues, leading at times to outsiders sensing an 'us-versus-them' approach to financial angles. 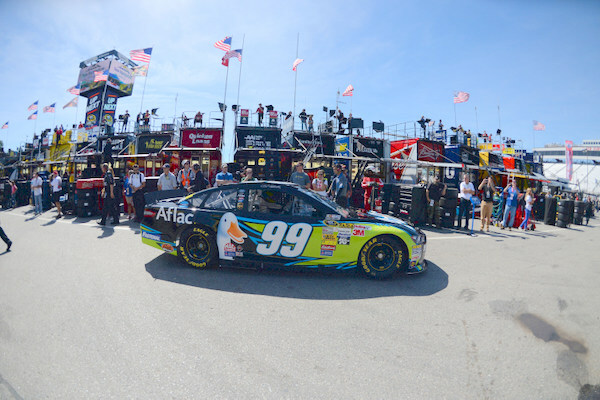 Smith raised a storm of controversy in May when he suggested he had a very solid financial sponsorship lined up for that long-proposed second Cup weekend at Las Vegas Motor Speedway, and when he said he might very well move his October NASCAR weekend to the Nevada showcase. Smith later backed away from hardening on that issue, and he indicated he had made his point with Cabarrus County officials, with whom he has had an on-and-off relationship the last few years, despite Charlotte Motor Speedway being a county showpiece since it opened in 1960. -- Speculation about Smith's Sonoma Raceway (just north of San Francisco) moving from its traditional summer race weekend to a fall weekend in the chase. That would give this sport -- and NBC, remember -- a championship presence in the fifth largest U.S. market. Plus, the sport really does have too many 1-1/2-mile tracks in the chase: Chicago, Kansas, Charlotte, Texas, and Homestead-Miami. A road course would change that up. And Sonoma has a reputation as 'the new Martinsville,' for some slam-bang events. Would Smith really be interested in moving his Sonoma date into the chase? "I'll leave that up to NASCAR," Smith says coyly. "I'm sure they're studying it. And I'm sure they'd like to be there too. If they want to do it, I'm for it. "But -- the last race of the year has to be at Las Vegas....baby!" -- Speculation about Smith's Atlanta Motor Speedway swapping weekends with Darlington Raceway, Labor Day for Mother's Day weekend. Atlanta on Labor Day weekend faces much more intense sports competition -- from the baseball Braves and both pro and college football, and with the new College Football Hall of Fame opening in Atlanta Labor Day weekend in 2014 -- than a Mother's Day weekend date. There are indications NASCAR might want to do a Darlington-Atlanta swap. However Smith emphatically says he wants no part of any Atlanta-Darlington shuffle, though not really making clear any specific objections. "You did not hear that from me," Smith insists of a proposed swap. "And nobody has approached me on that. If they do, I won't hit 'em ..... I will not hit 'em. I'm not violent; I'm just not going to do it." The point here? "That this is a great sport...and we need to work it and get it better. "And Mike Mulhern deserves a lot of great things, and he does need sponsorship." Gotta love a billionaire like this. Submitted by Matt Griffin on Sat 09/21/2013 - 03:59. Submitted by joe branham on Sat 09/21/2013 - 08:23. Submitted by oldirtracker on Sat 09/21/2013 - 09:38.
the chase final at Las Vegas would be a great move. plenty of rooms at good rates, lots to do for the fans, and why not have the banquet in the same week and save all those travel expenses. Unfortunately it will not happen because Bruton owns the track and Nascar is not about to give up that money for one of their tracks. I really do not want to see the pompous billionaire make one dime, but it would be a great venue and great for the fans. Maybe just once Nascar and Speedway could make a business compromise and do something for the fans!!!!! Submitted by Tony Geinzer on Sat 09/21/2013 - 12:38. What is news to me is I would be no fan of not just the Season Title in Vegas, but the banquet,too. That would be Turkey against Turkey and I feel the West would make a reputable Season Finale, but NO Banquet Out West! Also, I want the 2015 Season Finale and Banquet to be in Charlotte and the NASCAR HOF, and truthfully, we need to find a way to fire the epic foil Brian France because this needs to be a Serious Time with Serious Fans and seriously, I want to see NBC start from the Bottom with Speedweeks 2014 as I want to fire Fox Sports in the worst possible way.